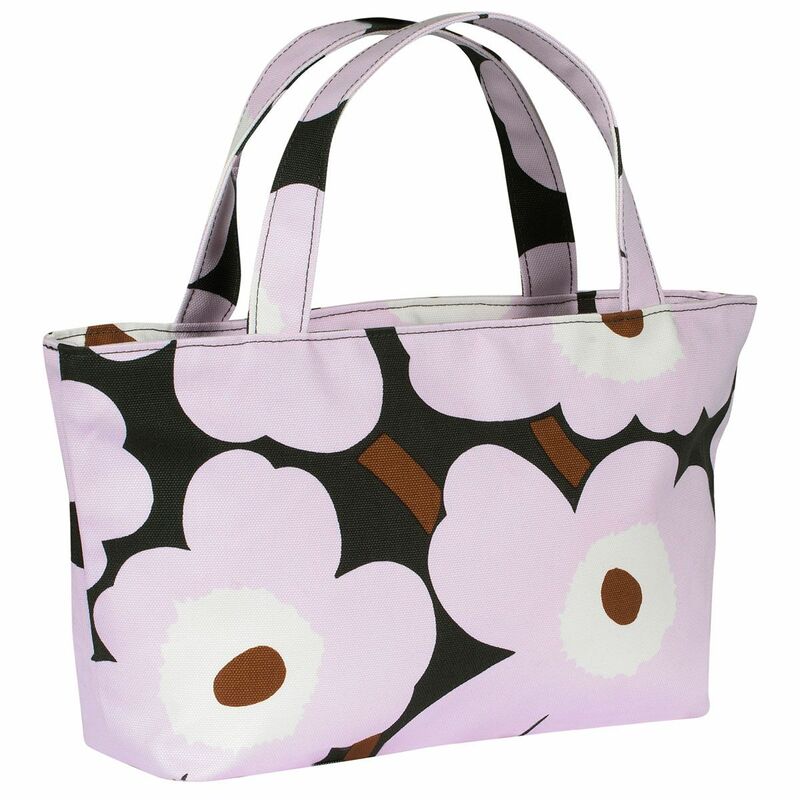 More about Marimekko Unikko Lilac / Brown Prinsessa Bag Treat yourself like royalty with the Marimekko Unikko Prinsessa (Princess) bag. 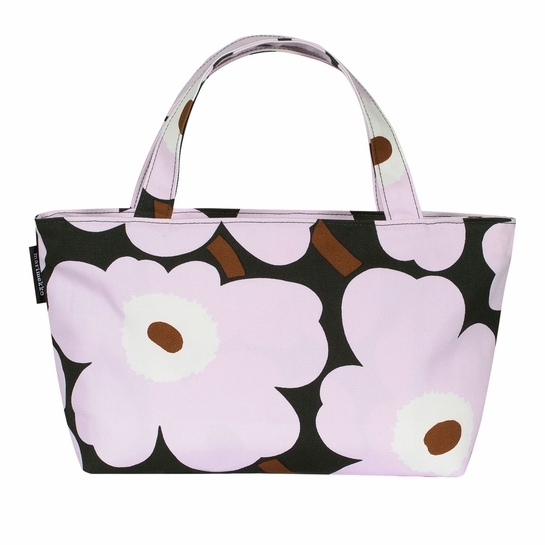 The timeless Unikko (Poppy) print by Maija Isola adorns the 100% cotton canvas exterior, as well as the inner zip pouch pocket. 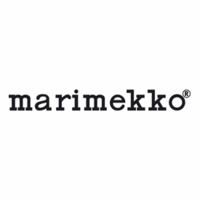 The background color is the darkest of greens, just a shade above black. 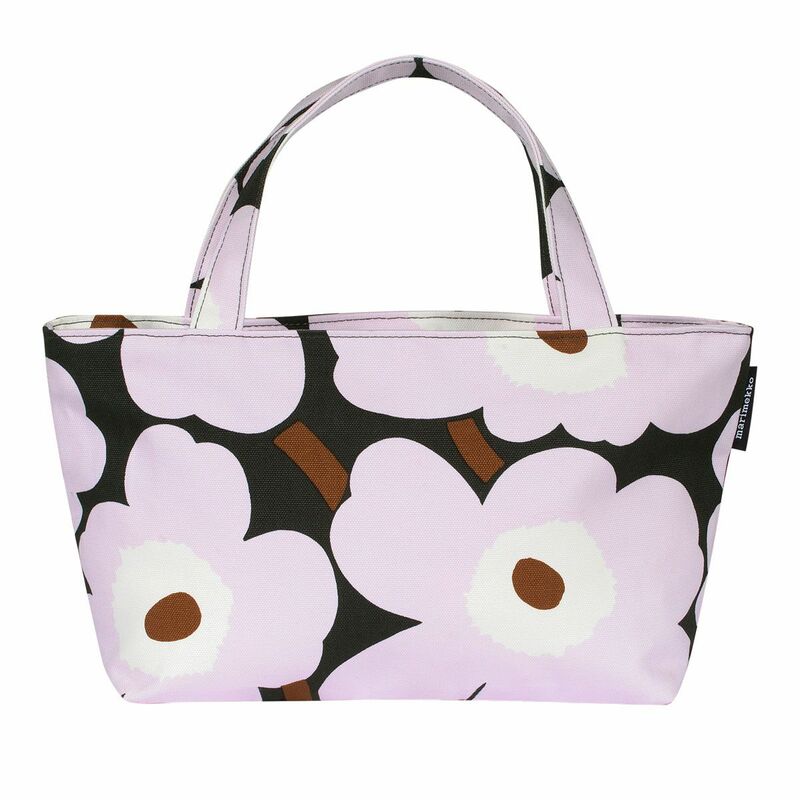 With lilac, white, and brown flowers, it feels symbolic of the life sprouting from the bout of darkness during winter's visit. 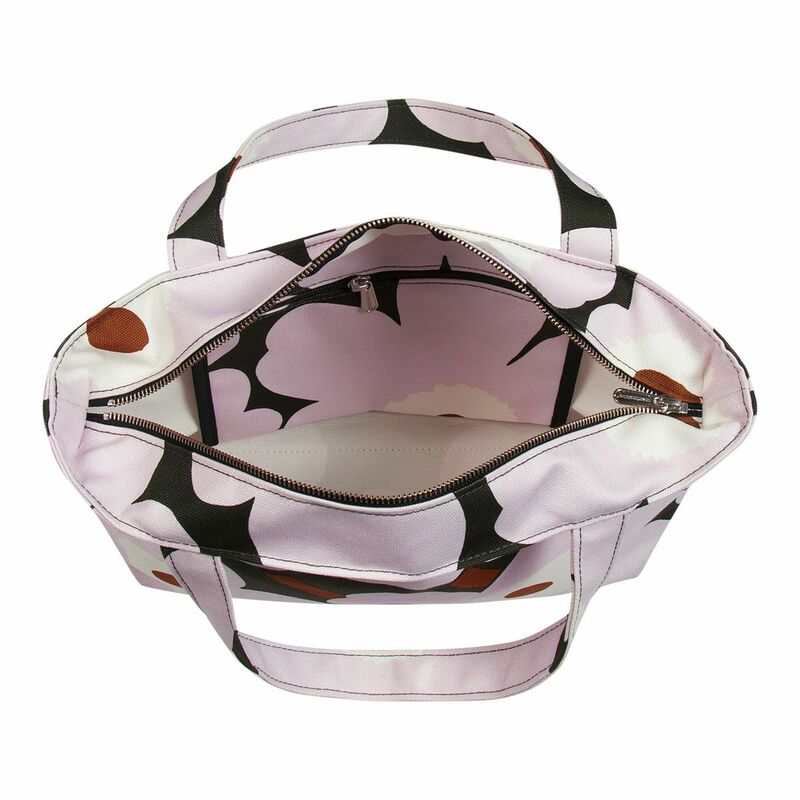 The roomy interior closes with a zipper to keep belongings secure. Swing the smart and stylish bag along with you by hand or use the two straps to wear it comfortably on your shoulder.